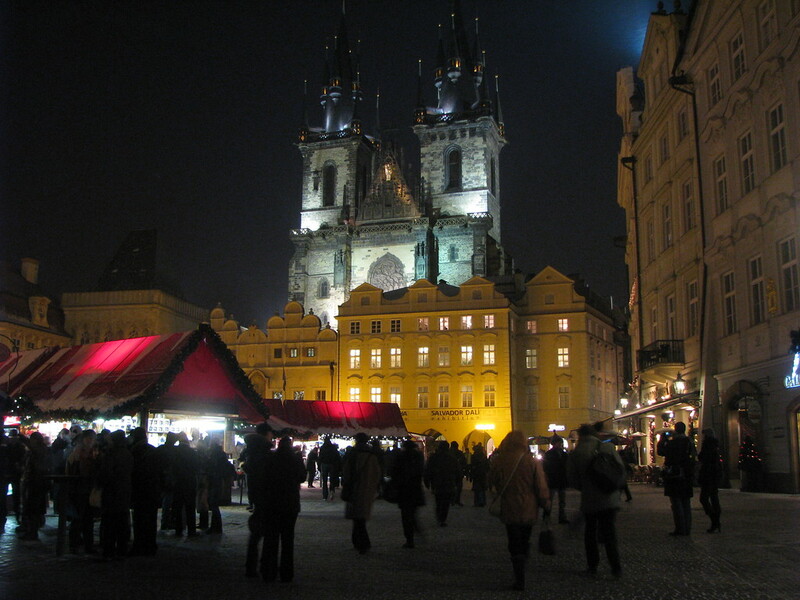 This is a picture of the Christmas Market in Prague that is held in the city square. What this photo does not show is how cold it was. What drives Czechs, who in all other ways seem pretty normal, to decide that this season, of all seasons, is the one to spend outside. It took us about an hour to warm up after going indoors. The hot spiced wine helps some. But the square was filled with shoppers, choirs, locals and tourists. Great way to end the year on Amateur Traveler. My wife and I visited Prague and Vienna in November 2009. Your photos this week took us back to a wonderful visit. Thanks for the photos and the podcasts throughout the year. 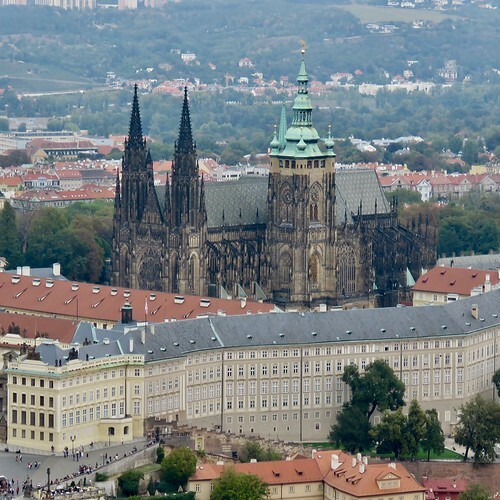 My family and I visited Prague last Thanksgiving. This photo brought us right back–we can almos hear the sounds and smell the food! Just back from the Christmas markets and a wonderful trip to Prague. We lucked out – the temperatures were not too cold, but the hot spiced wine and grog certainly helped warm the fingers! Another great picture! Love it.